Platanus sp. sycamore leaf fossil ("plane tree") displayed at the American Museum of Natural History in New York City, USA. It was found in Garfield County, Colorado, USA. 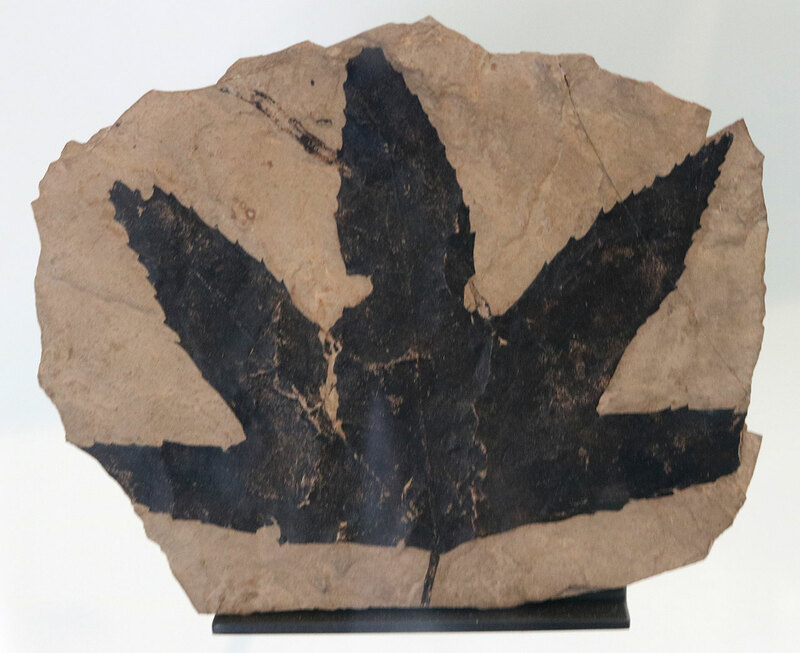 The fossil appears to be from Green River Formation and dates to the Eocene Epoch of the Paleogene Period. Image taken July 2018.